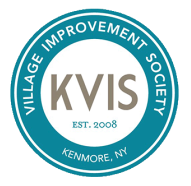 For many years, the KVIS considered having a footrace through the Village, and we decided that a big event like a 5K race would be a good way to continue raising awareness and funds for ovarian cancer while drawing positive attention to Kenmore. As we started planning we knew that we wanted the race to be fun and that we really wanted to be good hosts to the runners. One of our members said, “I mustache you, why don’t we call the 5K the mustache race?” Most involved in the planning thought that sounded like good and silly fun and since the race was to be held in March, we ultimately named it accordingly! The 2014 Mustache March 5K was well received with 500 people running. We were able to donate fifteen hundred dollars each to Roswell Park and to the National Ovarian Cancer Coalition. After evaluating the event, the Be Well and Events Committee decided that the race would take place each year. 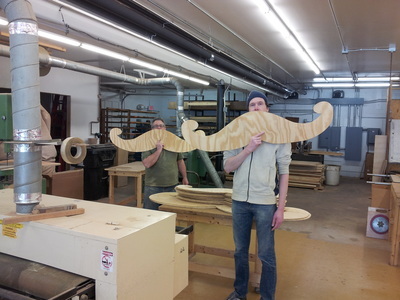 For more information on the Mustache March, please visit the event website at www.mustachemarch5k.com. The 2016 race was held earlier than usual because of the Easter holiday at the end of March. 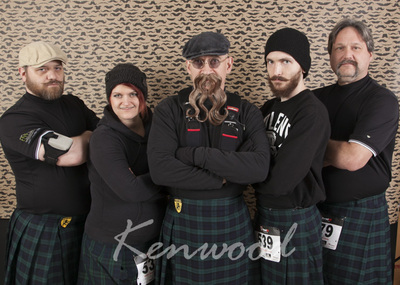 Although we had fewer people register to run, we had a wonderful race on the flat, fast track through Kenmore. There wasn't a drop of snow on the ground because of the warm temperatures and everyone agreed that the after race party brunch is one of the best in WNY! We couldn't do this race without the support of our generous sponsors, volunteers, the Kenmore Police and DPW, and many more. Please visit the event website and make sure to give your custom and support to our sponsors. Thank you. 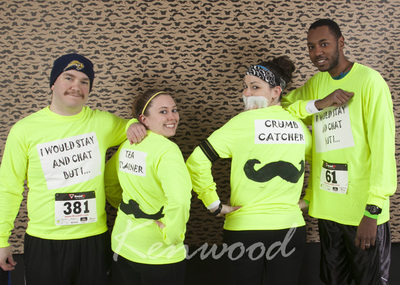 The 2015 Dominic Hofert Mustache March 5K was a great success with almost 600 people registering to run. 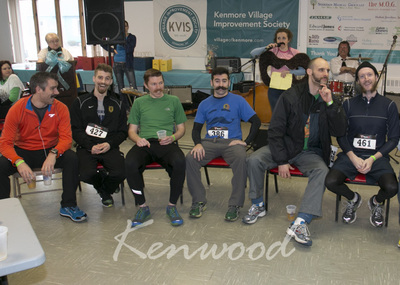 Following the death of KVIS member and Kenmore business owner, Dominic Hofert, the KVIS named the race after him. Dominic had been an early and constant supporter of the KVIS and had, along with his daughter, Natalie and friend Mary Beth Bartlett been instrumental in developing the 5k teal initiative. At 4 a.m. the morning of the race, a light snow was falling but by 8 a.m., the snow was replaced by brilliant sunshine and the roads dry and ready for the runners and walkers. The after party was held in a large tent with The Observers Band providing the uplifting music and MC Ramona Santa Maria leading the contests and helping to award over 100 prizes.